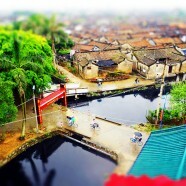 Hua-Yao village has a distinct different setting than Si-He Village. 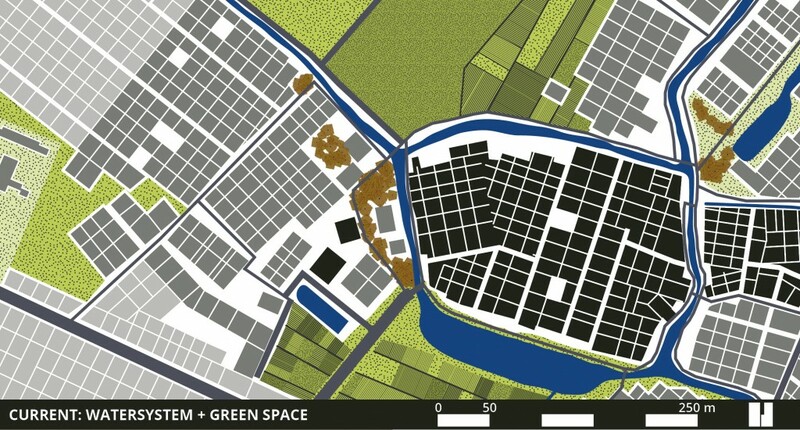 There are more and larger open spaces close to the oldest parts of the village and that these open spaces connect with the system of creeks and waterways. These open space presumably remained vacant, as these areas are too wet for building house or for traditional agriculture. These wetlands could serve as a biological filtration system and ecological preserve serving both the agriculture and tourism interests. This area is also conducive to networks with high tech urban agriculture in greenhouses combined with primary and secondary water retention. 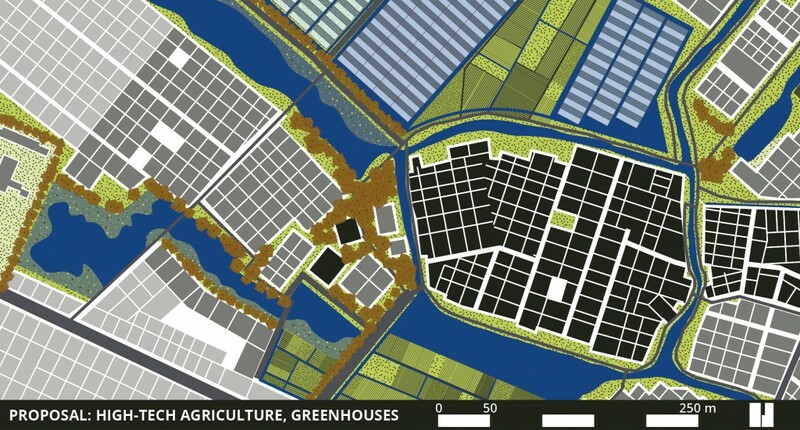 The case study for Hua-Yao village is focussed on more elaborate and multiple strategies for water retention. The collateral side effect of the rapid and unplanned urbanisation by building new settlements that are scattered in patches around Hua-Yao is that, like in the village of Si-He, the delicate water system with ditches, creeks and reservoirs, is rapidly disappearing. 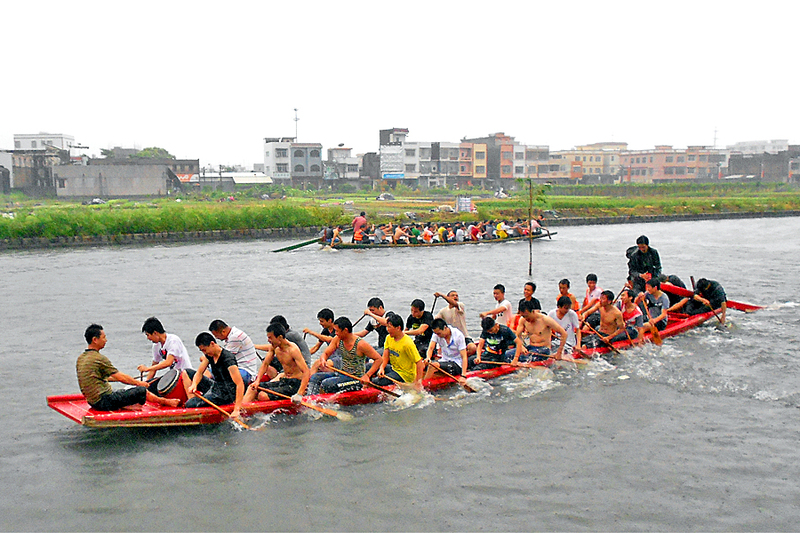 The first strategy for Hua-Yao starts at the level of individual households. The majority of the houses in and around Hua-Yao have a traditional typology with one or two patios. Rainwater falling on the roofs of these houses can easily be harvested in tanks that can contain 3 to 5 cubic metres of water. This water is relatively clean and can be used for household purposes. In the wet season every rain shower can be harvested and is not wasted by flowing in the streets to open water or lower lying areas nearby. Families and households in Hua-Yao that harvest rainwater also contribute to prevent flooding of the village and the surrounded areas. 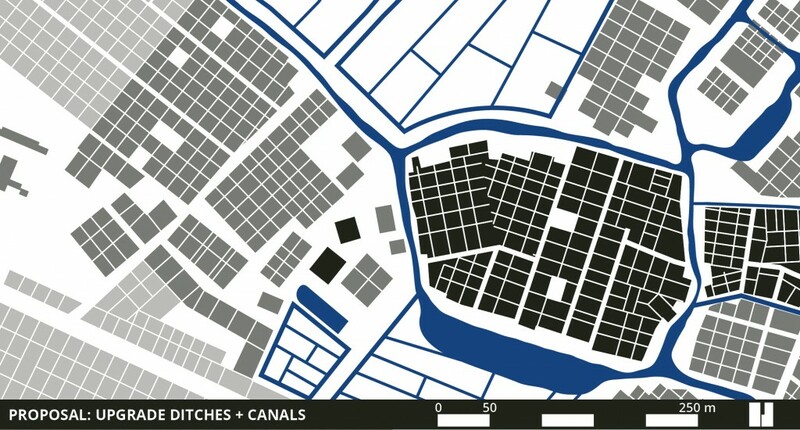 The second strategy is directed to upgrade the existing ditches and canals in the open spaces surrounding the settlements, as shown. When upgrading is not enough, this could be enhanced by restoring or expanding the existing reservoirs and even by making new reservoirs. For expanding the water reservoirs, detailed surveys must be carried out about where these reservoirs need to be located. It is very likely that the combination of upgrading the existing ditches and canals with expanding or making new reservoirs is the better of the two separate strategies. Apart from the improving or restoring the water system in and around Hua-Yao, the direct environment of the village can be improved considerably. The open and former agricultural areas around the village are today underused. With rapid urbanisation and industrialisation on its way, these areas are losing their traditional use and value as a way to make a living out of small-scale agriculture. Now that villages like Hua-Yao are changing from an agricultural way of living into communities that are have a more residential function, housing a new generation of villagers that is working in small local textile industries, the functions of the remaining open spaces might need to reflect the needs of this new generation. 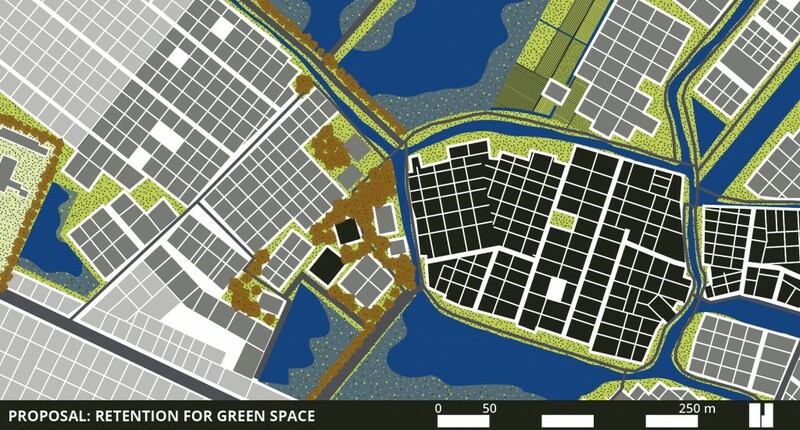 This could be providing green space for leisure, recreation, sports and nature. These functions can easily be combined with primary and secondary water retention. It even may be the case that there need to be a moratorium on building new patches of houses in open areas or that some of the newest patches of houses, built of lower grounds, may need to make place for primary or secondary water retention. In the end it is for the local authorities and the inhabitants of Hua-Yao to decide if and how to enhance and to improve the maintenance and management of the water system in and around the villages. Although the village itself was not hit by flooding in recent years, further and rapid extension and urbanisation and further destruction of the delicate water system may lead to frequent flooding in the near future. Another way of upgrading Hua-Yao is improving the local economy with new functions, and thus providing jobs for local villagers. As the Shan Nan Desakota Area has relatively more sun hours than areas that are situated inland, this area is very well suited for high-tech green house agriculture, the ultimate form of urban agriculture that can produce multiple crops during the year. Green house agriculture combined with fish farms, as described in the TDE Research and Strategy Report, requires many sun hours through the year and an abundance of water that can be harvested during the wet season and stored locally. High-tech green house agriculture can also become part of the energy chain as it can produce, deliver, store and re-use energy as long as it is connected with other energy intensive industries situated nearby.